Those who dare are poised to achieve glory, symbolized by the Air Nation Freestyle Tour Cup! In order to win the Cup, riders will accumulate points throughout the Air Nation Freestyle Tour, with the trophy awarded to the male and female rider atop the points race at the end of the season. The official Tour stops in 2018 will include Sun Peaks (January 22-24), Mont Tremblant (February 1-3), Mount St Louis Moonstone (February 6-8) and Nationals (at Canada Olympic Park, March 18-24). The first place rider receives one point for every competitor that they have finished ahead of at a Tour event. For example, if there are 87 female riders competing at a Tour stop, the women’s event winner will earn 86 Air Nation Freestyle points. The second place finisher receives 85 points, the third place receives 84, etc. Did Not Finish (DNF) and Disqualified (DQ) riders will not be ranked and will not earn any points, but they will still be counted in the total number of event competitors. As such, in an event with 60 male riders, for example, with 4 DNFs and 1 DQ, the last place finisher of the event with a judged score will receive 5 points (since he finished ahead of 5 riders), while the first place finisher receives 59 points (having bettered a total of 59 other riders). 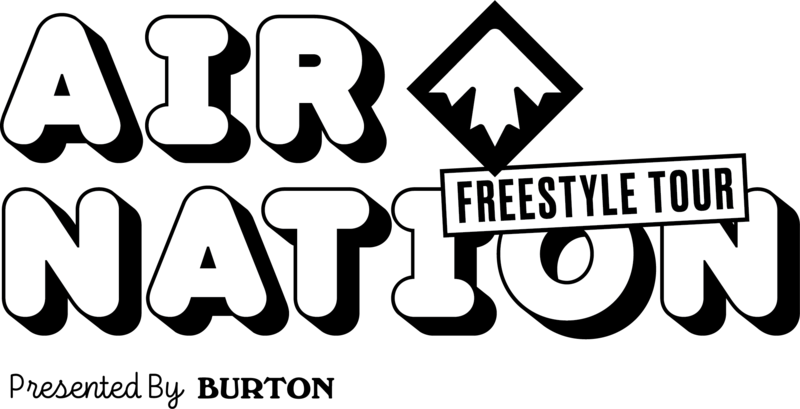 Points can only be earned at official Air Nation Freestyle Tour stops.